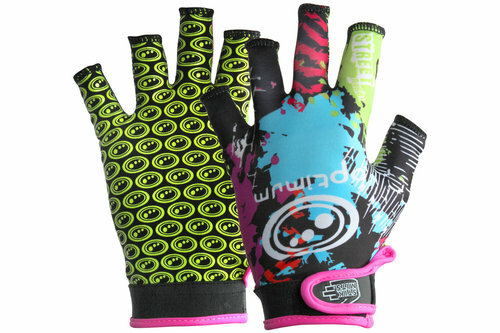 Lightweight and fingerless, the Optimum Rugby Stik Mitts give you the confidence to tackle any weather conditions. Created from nylon and elastic, the all-important aspect of these mitts is the tacky palm grip for top performance handling whatever the weather. For optimum comfort and fit, the elasticated wristband features a velcro strap while the the elasticated material ensures a snug fit across the hand. A kaleidoscope of colours feature over the gloves and make for great visibility so you can look where your hands are positioned.